High-end luxury hotel groups such as Shangri-La Hotels and Resorts are now targeting guests from the government sector and State-owned enterprises in China to make up for the decline in international business travel in this economic downturn. "Corporate and multinational companies have reduced the number of travelers coming in. So we changed our focus toward getting more support from government events and State-owned enterprise functions," said Charlene Cheng, Shangri-La's vice president of sales and marketing. Cheng said the number of government-sponsored meetings and events in China have not decreased, thanks to the 4 trillion yuan ($586 billion) stimulus package the government launched to help build China's economy during the global financial crisis. "We are focusing on all these industries in China that have been given stimulus package funds, including energy, construction and railway (sectors)," she said. The Hong Kong-based hotel group initiated its largest-scale sales mission in China in September, hoping to consolidate its business in key cities and tap into the markets of more second-tier cities. Forty of the group's properties around the world, including 29 hotels on the Chinese mainland, participated in a recent two-week promotional event covering eight cities across the country. "This is the first time we have such a large-scale sales mission, because we realize the importance of the Chinese market," Cheng said. "That is why for the first time we are going to second-tier cities like Shenzhen, Hangzhou, Ningbo, Shenyang and Dalian. We know we need to have our presence felt in those cities," she said. Shangri-La opened two new hotels in Ningbo and Wenzhou, Zhejiang province, last month. Its new property in Guilin, Guangxi Zhuang autonomous region, is expected to open early next year. Cheng said Shangri-La plans to double the number of its hotels in China by the year 2014. 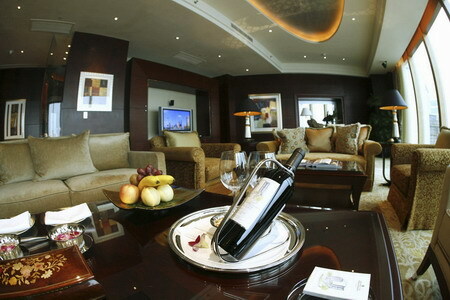 The group's 29 hotels on the Chinese mainland contribute more than 48 percent of the group's global revenues. The world's luxury hotel industry has been badly wounded by the financial crisis. A recent survey by the hotel booking website Hotels.com found that average room prices across the globe fell 17 percent during the first six months of this year, compared to the same period in 2008. "Our average rates have been down by 25 percent in key cities such as Beijing," Cheng said. But she said she remains optimistic about the future. The environment for long-term investment is still positive, she said, and major Chinese cities are becoming attractive Meeting, Incentive, Convention and Event (MICE) destinations. The China World Summit Wing, also known as the China World Trade Center Tower 3, is an ultra luxury hotel managed by the Shangri-La hotel group that will open by the end of this year. With 278 guest rooms and two ballrooms, the new hotel will be targeting high-end international business travelers and events. "We are keeping our fingers crossed that the Chinese economy will turn around, and that demand will eventually come back," Cheng said.